Solange attended the Met Gala with the intent of remaining very comfortable. 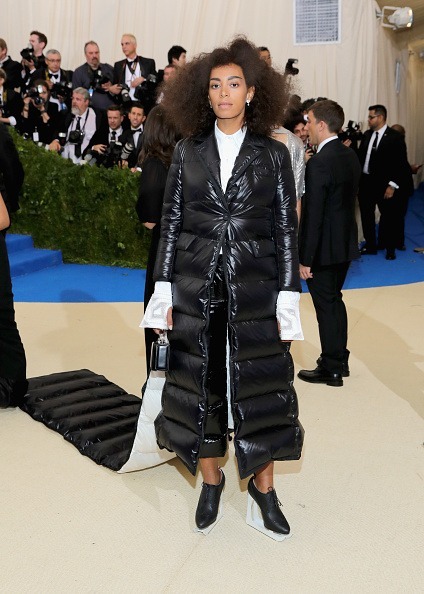 The singer wore a Thom Browne ensemble that looked like a cross between a sleeping bag and what you see on the New York streets in the middle of January. She looked amazing. Solange paired the outfit with a pair of black oxfords with an ice skating inspired heel.